From poring over fashion magazines in free period to walking the carpet at New York Fashion Week, Sophie Elkus is catapulting herself into the upper echelon of fashion blogs though a mix of marketing savvy and an eye for style. The USC Annenberg alumna (Public Relations and Marketing, ’14) is the both the face and brain behind the ascendant fashion site Angel Food Style. The site has been named one of the best fashion blogs in LA by CBS Los Angeles, and Elkus has already amassed a following on Instagram of over 80,000. At 23 years old, Elkus has strategically transformed what was once a pastime into a profitable business. “At my prep school, while everyone else was doing homework early during free periods, I was reading magazines, cover to cover,” Elkus said. 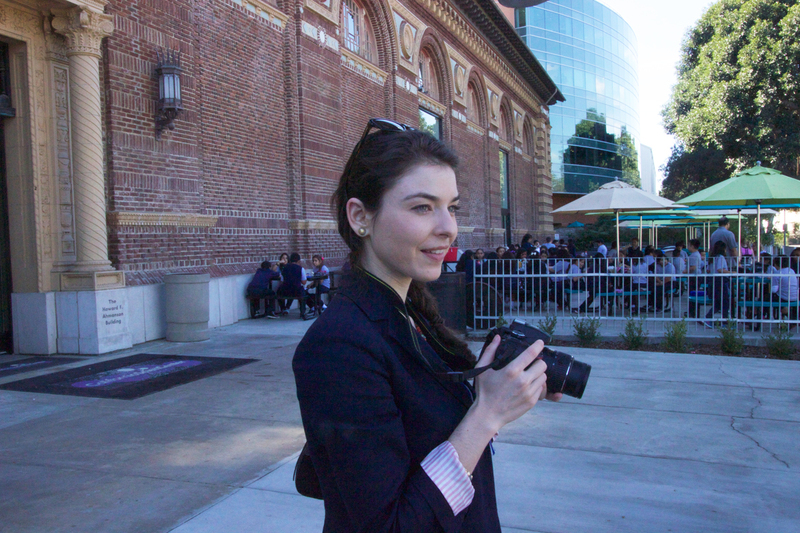 So between her sophomore and junior year at USC Annenberg, she created a blog about her own fashion adventures. Leveraging her PR skills to grow her site’s credibility, Elkus learned the in-and-outs of attracting high-profile fashion lines by offering them something they couldn’t buy: a younger audience. “Brands want to work with bloggers who can reach a demographic they’d be unable to reach otherwise,” Elkus said. She now collaborates with fashion lines like Anthropologie, Neiman Marcus, and Rag & Bone, both curating and modeling featured brands. With its artful photography and colorful design, Angel Food Style is an airy confection of sophistication and youth.